Where to start when trying to describe The Esk Gorge! There's so much to say and we could easily get lost in superlatives. 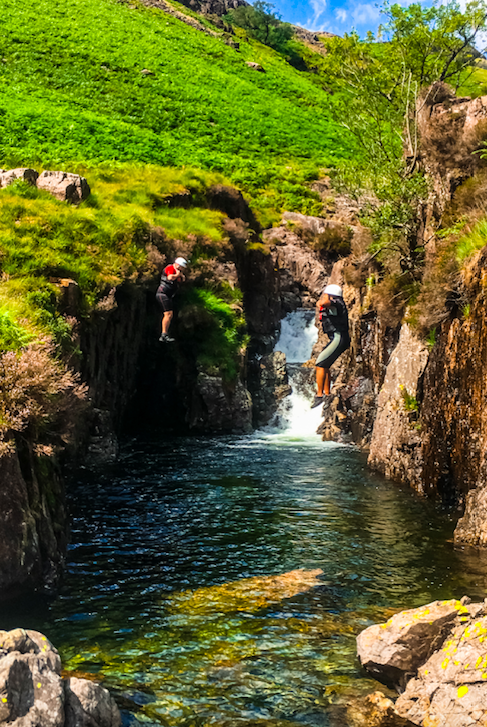 Whilst The Lake District has many brilliant gorge scrambles, all are loads of fun. But as with many things, some gorges are better than others. This is highlighted whenever we visit the Esk Gorge over in Eskdale. The Biggest, and The Best! It's not suitable for a quick trip due to the remote nature of the venue, but if you can spare most of the day, this is 'the' place to be. 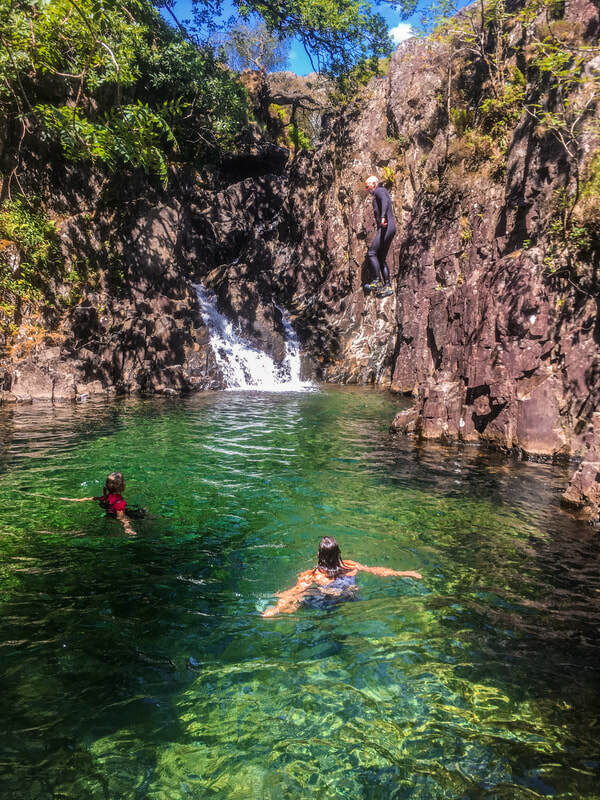 We've explored many of the Lakeland gorges, and yes many are great. 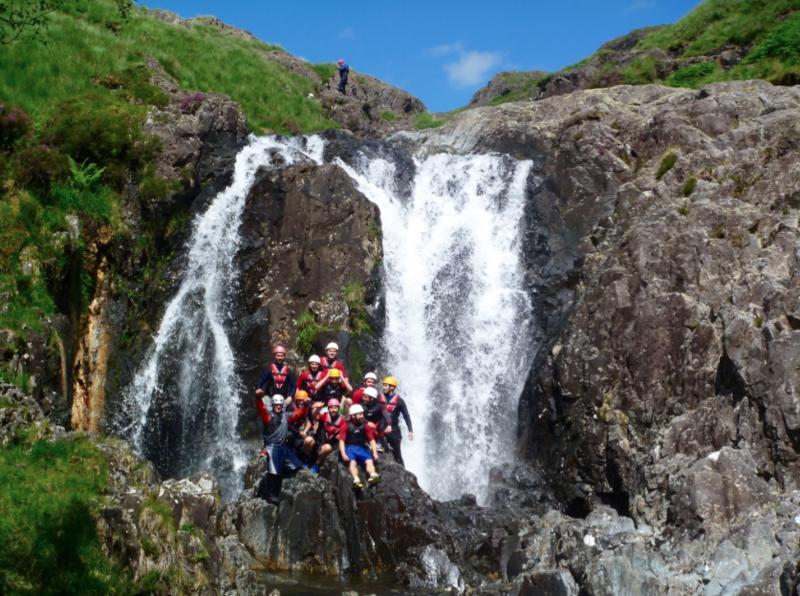 Stickle ghyll and Church beck both being absolutely fantastic and well worth doing, particularly as they can be enjoyed in a morning or afternoon session. However, for those with a little more time and wishing for a wilderness experience, let us introduce the Esk Gorge. The approach walk is about 45 minutes of gentle uphill, this keeps the crowds away. The scenery is superb, as pretty as anything in Lakeland. As soon as we arrive, there's an entry jump of about 8ft into deep water. If you were at all sleepy, this just cured that! And from here on up, it's swim, jump, scramble, jump, swim, scramble and so much more. The surroundings are spectacular, so much so, I find it hard to describe! With some really high jumps, it can feel quite intimidating for some. Rest assured there are plenty of small and medium height jumps too and so many beautiful pools to swim in, you'll be spoilt for choice. This is based on number of participants.